Meantime Brewing Company is creating personalised beer for guests by testing their DNA. The D.N.Ale has been developed by Meantime's brewmaster Ciaran Giblin, and uses DNA testing to scientifically map personal tastes and preferences. Giblin was able to complete the test on his own DNA and develop a beer specifically tailored to his unique taste - the result turned out to be a bitter double IPA. 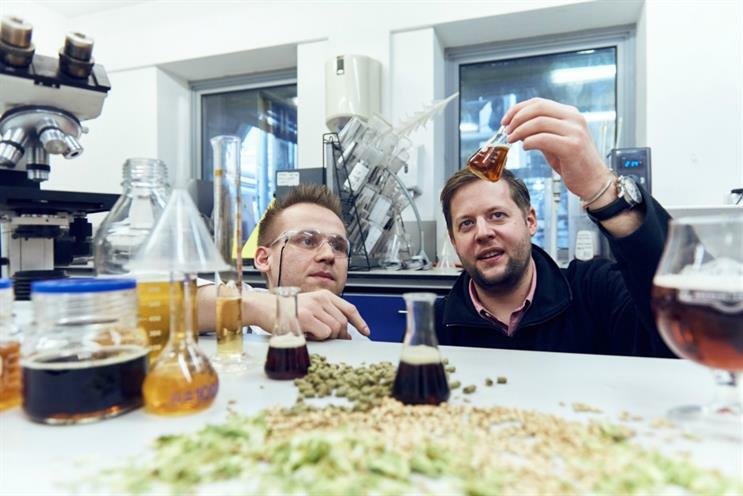 This led to the launch of Meantime Bespoke, an exclusive service that will allow members of the public to brew personalised beers based on their genetic code. The service gives guests the opportunity to customise elements at each stage of the process, with a world-class brewing team to develop each totally unique beer. The experience will allow clients to have their DNA analysed by genetics company 23andMe, and the test will reveal the genetic variants that influence personal preferences towards specific flavours within beer such as sweetness and bitterness. Hereditary variations in a person’s oral taste receptors will be used to help determine their perception and proclivity to sweet and bitter profiles, primarily based on the ability to detect propylthiouracil – a chemical similar to the bitter compounds found in cabbage, raw broccoli, coffee tonic water and certain dark beers. Following on from a saliva sample analysis, the Meantime brewing team will use the individual genetic insights as a basis to help inform the flavour profile of a personalised brew, before offering a one-to-one consultation with Meantime’s Brewmaster to input on the creative process. In addition, customers will be invited inside the Meantime laboratory and will get to add in hops and grains, as well as test the mix. Clients will also be able to name their bespoke creation. The package also includes a study course - 'The Knowledge' - which will give guests a deeper understanding of the brewing process. Modules include the key ingredients of beer, evaluation of and faults in beer, how to taste beer and a session on world beer styles. Ciaran Giblin, brewmaster at Meantime Brewing Company, said: "Having been aware of the potential of at-home genetic mapping, I sent a simple saliva sample to 23andMe; the results gave me the tools I needed to develop a recipe based on the elements my senses are most attuned to enjoy. I’m delighted with the result and opportunity it has given us to really push the boundaries of innovative, personalised brewing." In October, Meantime launched Britain's smallest craft beer bar. Last month, Pilsner Urquell hosted a masterclass designed to teach guests the art of beer pouring.